On Thursday morning, September 14, Daniel basically severed his thumb with a table saw. Since April, Daniel has been working as a Handyman to support our family. I cannot go into all of the details, but due to some particularly harsh treatment for a period of 18 months, Daniel was pushed to breaking point and developed severe Post traumatic stress disorder or PTSD. My beautiful, people-loving, ministering husband became a recluse. Any contact with people outside of myself, the kids and his parents, still brings extreme physical and emotional responses. As a result, we are now living in a caravan at Daniel's parent's place and have been surviving financially week to week. In April it became necessary for Daniel to find some way to support his family. (We homeschool our children and I suffer with chronic migraines, so Daniel has always been our sole bread winner). As Daniel has many practical skills, we decided that a Handyman would be something that he could do as he would be working for himself. On his first day, Daniel was so emotionally unstable, that he drove through a red light on the way to the job. Going to work each day is extremely unsettling for him, but he has been continuing to head out each day - not a word of complaint, because in his words "I've got to care for my crew". At any given time, you can experience 'triggers' with PTSD. These triggers will set off flashbacks. The flashbacks basically make sleep impossible. In June, a trigger had set off a series of flashbacks for Daniel and he had not slept for 3 days. He was not himself as he headed off for work. He basically becomes almost frantic in his movements, trying to accomplish everything too quickly - yet at the same time is distracted. This is not a good mix when it comes to operating power tools. On this day, Daniel had to hand-winch a ride on mower onto our trailer. He was to have picked it up the day before, but circumstances had prevented this, so he had the extra pressure of being late. There is some sort of switch on the hand winch that you need to secure before you use it, to prevent any injury. Daniel has used this winch a hundred times or more. This day, because of his emotional state, he didn't secure it. 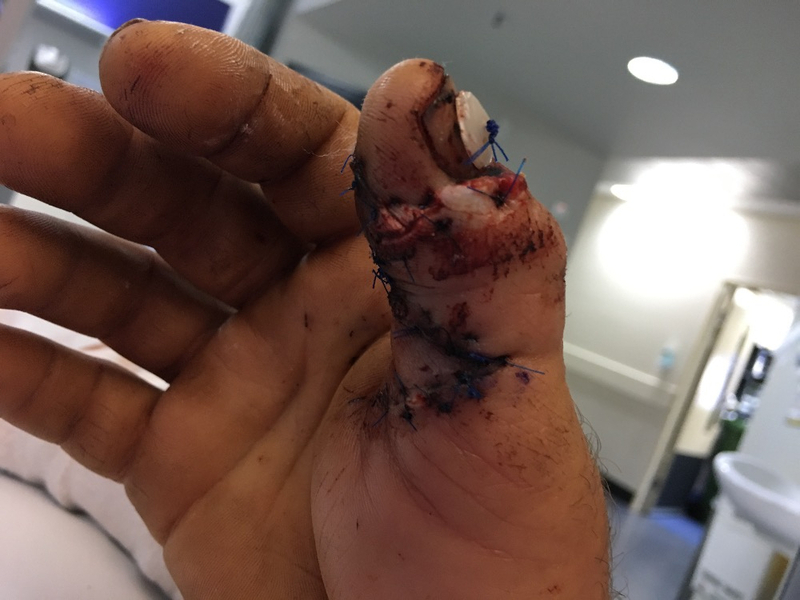 His left thumb became crushed inside the winch, taking a huge slice of the inside of his thumb in the process. This thumb is still healing. On Monday, Daniel experienced another trigger that set off flashbacks - again resulting in no sleep. On Thursday morning, he was again not himself. He was to head out to a job that wasn't going to require any power tools, so I thought that he would be okay. So in this distracted mental state he began work...I don't think I will ever forget what I experienced at 8:15am on Thursday morning. No one should ever have to see or hear this...our kids witnessed this traumatic event...My husband is a strong man when it comes to dealing with pain - hardly a sound is ever uttered. He only stopped working for a few days with his other crushed thumb, he was just pushing through the pain to 'care for his crew'. But the pain of severing a bone and every nerve in his thumb was basically unbearable. Yet during this waiting time, his greatest worry, was that the machine be cleaned of blood so that the kids didn't see. Since that time Daniel has been in hospital. He underwent micro surgery for seven and a half hours to reattach his thumb. The surgeon told him that he had done a "good job". The cut has gone through his joint, so his right thumb will be stiff for the rest of his life because of the plates they have screwed to hold his thumb together. There is a long road of recovery ahead - at least 3 months before his thumb is healed and 9 months before the nerves begin to talk to each other. He will also require physio. **update** Daniel told me this morning that the surgeon said that they could not reattached his tendon as the ends were too frayed from the saw - hence the button on his thumb. This is holding his tendon up so that hopefully it will reattach/grow itself. The arteries were so destroyed by the saw that they couldn't find them without releasing the tourniquet and making them bleed. The surgeon is happy that there is blood flow in his thumb. We have had a number of complications since the surgery - as a result of having a tourniquet on for seven + hours, Daniel's whole right arm is swollen and painful. There is a very, real possibility that the tourniquet has damaged other nerves in his elbow which make his thumb and fingers feel and move - his fingers are still numb and shouldn't be. (The surgeon today said that a tourniquet should only be applied for a maximum of 2 hours - Daniel had it on for seven and a half hours) We won't know the extent of this until the swelling decreases. The doctor told me that because our hands have so many finely-tuned nerves, it is impossible to remove all of the pain with medication...Daniel has also experienced allergic reactions to some of his pain medications. He was behaving a little strangely for my liking on Sunday, so I called the nurse. When she did another check of his vitals - his blood pressure had risen quite a lot and his oxygen level was at 87%. This was definitely a cause for concern. Apparently there is a complication that can occur when you are in theatre for a long time, like Daniel was, where a small part of your lung collapses. I am feeling so very thankful that we discovered this BEFORE we came home. God has been so good to us throughout this ordeal. A chest x-ray has revealed that the bottom of Daniel's left lung has patches that appear to have collapsed. I don't know when Daniel will be able to use his hand again - so his Handyman business is now not an option. PTSD is preventing him from working for someone else. 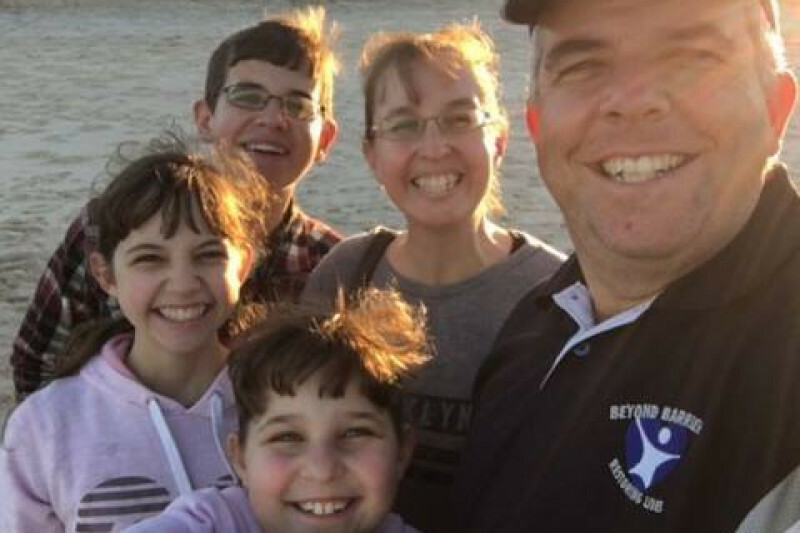 He is desperate to begin a ministry for at-risk Teens and Youth with an emphasis on helping kids in outback towns through adventure therapy. But to do this - he needs his hands. I would really appreciate if you put all of your mustard seeds together on Daniel's behalf. There is power in prayer and when things look impossible, we must rely on the God with whom all things are possible. I am also asking you to help me ease a little of the pain that Daniel is having to go through, by caring for his crew. If you can give...thank-you. If you cannot, can you please share this with others who may be able to. ***Some people have asked what we will be using the funds for. Basic living expenses - rent, food, car payments, bills, medical expenses, hospital parking, petrol. Well five months have passed since my last update and life has been a tumultuous journey to say the least. Our youngest daughter, Kassi, has been very unwell since April of this year. Her symptoms increased in severity until they resulted in two hospital stays in late September and October, the last of which was 12 days in duration. After many tests, it was discovered that Kassi's medical symptoms had, at some point during September, changed to psychological symptoms. As a result of emotional distress, her nervous system began mimicking her previous medical symptoms to the point where she would not remain alert for more than a minute or two at a time, her body convulsing violently from side to side and producing a loud hiccuping sound. She would pass out when she was walking, eating, and even mid sentence. It was a very intense time. At a follow-up appointment a week after her discharge, Kassi shared what had been distressing her with the social worker. (If you would like more information about this, please contact me privately). This sharing has resulted in her now being almost completely symptom free - praise God. But it also meant that we had to immediately move away from where we were living. As you can imagine, all of this upheaval has not been kind on Daniel. Many of his symptoms have gotten worse over the past month or so, but his recovery time to triggers is improving - which we are thanking God immensely for! Finding a house to rent has been a very difficult task. Kiraleigh (our middle daughter) said to me a number of times while we were living in the caravan - can't we get a house mum? I told her there was no way, as we couldn't afford it. Her reply was - where is your faith mum - if God wants us to have a house, then we'll have a house. Well He has given us a house - after 5 weeks of applying and being rejected!!! But while our living arrangements are about to change, our financial circumstances have not. So I am again reaching out to you to help Daniel care for his crew. If you can give to help with the extra rent and extra expenses that come with having a house...thank-you. If you cannot, can you please share this with others who may be able to. Also - A great BIG thank-you to those who have, and still are, helping us so very much - you have no idea!!! Life in our Cinzio household has certainly had its fair share of hits from left field over the past couple of years, but we are holding tightly to the hand of the One who holds the future! Daniel pushes through the pain to do life's simple tasks and is relying more heavily on his left hand and arm to 'take the weight'. He wears a compression glove most days, this helps to reduce the swelling in his hand so that he can move his fingers more. He drops things a lot, as he can't maintain a grip, or the pain in his hand and/or forearm gets unbearable. Financially, times are challenging, but God has always provided in our hour of need. You'd think that I'd have had enough practice at trusting, but I'm still not very good at it :). Thank-you again for the support that you have given us, thank-you for your prayers and for being the listening ear, that is so very needed. May God continue to richly bless you for your kindness to us. Good morning to those of you who have been, and are still, following our journey. It has now been 8 months since Daniel's thumb accident and 2 years and 3 months since Daniel developed Complex Post Traumatic Stress Disorder as a result of very harsh treatment. Originally, doctors said that Daniel had PTSD - symptoms that result when a person is involved in a short-term or single traumatic event. However, the trauma related to Daniel was not an isolated, short-term event. Long term or chronic events that span a period of months or years tend to develop symptoms that are more complex than PTSD. Daniel's abuse spanned 18 months. There is usually more intense psychological harm when you experience repeated trauma. There may be complete changes to your concept of who you are and in your ability to cope with stressful situations. The general course of treatment involves a three-prong approach: creating safety, allowing for mourning and promoting healthy re-connection with everyday life. ONLY by going through all of these stages can a victim of long-term abuse begin to take their life back. Yesterday, when we were at the optometrist getting glasses for Daniel, the lady asked Daniel what he did - he replied - I'm a minister and a youth worker. I asked him later why he said that - he replied - well that's what I am. And he is - when he was 6 years old, Daniel first declared to the world that he was going to be a minister and now circumstances and C-PTSD have taken that away. 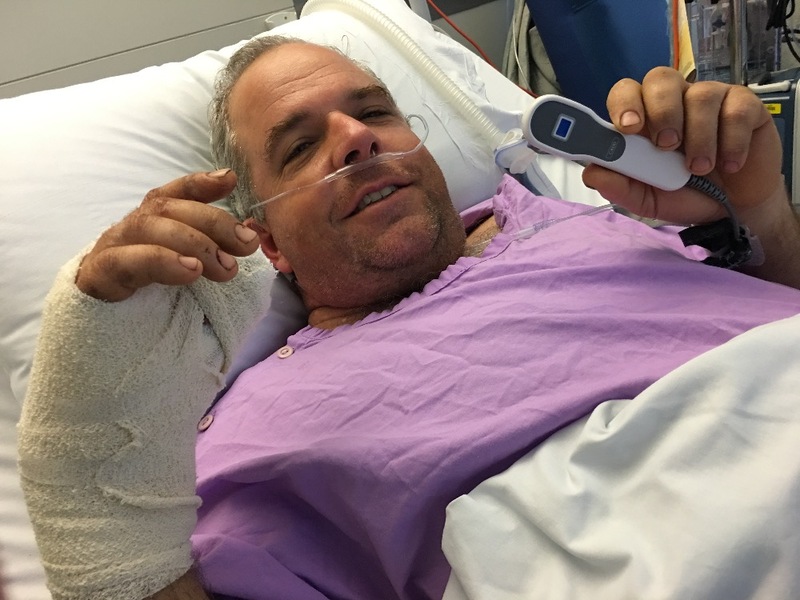 I keep asking myself the question - How do we, as a family move forwards, earn a living and continue in ministry, when Daniel doesn't feel safe ANYWHERE and the process of recovery is a long one, with no certainty of a complete recovery at all and combine that with the extra challenges of being limited in the use of his right hand. Daniel is working so hard to get his hand and arm working again and while they still have very little strength or staying power and cause lots of pain, it is his brain injury that is significantly holding him back from that ministry. C-PTSD is a brain injury, not a mental disorder. Studies have shown that trauma has lasting effects on the amygdala, hippocampus and pre-frontal cortex areas of our brain. These areas play a big role in both our memory function and how we respond to stressful situations - they deal with fight or flight. During trauma that lasts for a long time, the fight or flight mechanism, that is designed to be operational for only brief periods of time, doesn't get switched off, as the victim is always in a heightened state of alert. During this time their body becomes filled with cortisol - which in high prolonged doses is toxic to brain cells. Cortisol kills off neuroreceptors in the hippocampus. The hippocampus is responsible for many things, including being the control centre for the fight or flight response. So the ability to turn off the fight or flight mechanism is damaged. Thus the circle of destruction begins, leading to C-PTSD. Last week, Daniel's psychologist told him that working/ministering with the public is not a good idea for him at this time. In order to heal C-PTSD you must reduce or remove the triggers that set off the flashbacks or fight or flight responses. For Daniel, this is, to varying degrees, every interaction outside of our immediate family. He is getting better, but we have a long way to go for social interaction not to be a trigger. When Daniel shared with me what his psychologist had said in regard to him not working outside our home an idea came to me - You can minister in more ways than one - Daniel can minister BEHIND the camera, as Ranger Dan, to children all over the world. This way, he removes all triggers, as he feels safe and fulfils his dream of ministry. Way back in 2004, we began a ministry to children, we now call Creation Connection. We aim to connect kids with their Creator through song and God's second book - nature. We have released two Children's music Adventure Albums as Ranger Dan and Mrs Tammy. We have been planning for a while, to broaden Creation Connection into an online TV channel, a Christian channel packed with programs designed just for kids, that they will have access to 24/7. But planting a new church and then life, has gotten in the way of us pursing this dream to its completion. Now, I believe that God has opened the door for us to focus on this ministry. We have already made some small programs - you can see them here : http://www.creationconnection.com.au/online-tv-channel.html.. Our YouTube channel with these programs has had over 175 000 views from all over the world. Originally, I asked you all to combine your mustard seeds on Daniel's behalf and I thank-you from the bottom of my heart for doing this. Your prayers have strengthened us during these difficult times. I also asked you to help Daniel 'care for his crew' and you did :). God has used your generosity to keep us afloat for 8 months. I am now asking that you will help Daniel to minister again. On Monday, as we were setting up in our caravan to record one of our kids programs, Daniel turned to me with a great, big grin and said - this is so exciting!!! It was so nice to see him smile. Ministry is not our job - it's our life! It will be so wonderful to have our life back!! If you can give to help us on this ministry journey...thank-you - there are many costs involved in setting all of this up. Please share this with others who may also be able to lend a hand. Thanks for reading to the end of this very lengthy update. May God add His richest blessings to you for your continued kindness to us. “For everything comes from Him and exists by His power and is intended for His glory.